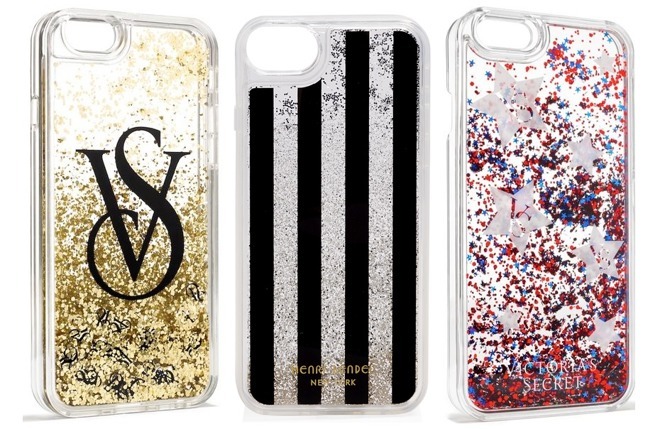 Accessory manufacturer MixBin Electronics has issued a recall for iPhone cases it has produced for a number of well-known brands, including Victoria's Secret, following reports of the glitter and liquid-filled cases causing chemical burns and skin irritation to consumers in the United States. The notice posted by the U.S. Consumer Product Safety Commission, alongside counterparts Health Canada and Mexico's PROFECO, advises the recall concerns MixBin-produced cases for the iPhone 6, 6s, and 7. While varying in color and style, the transparent cases in question all feature a liquid and glitter-filled section on the rear, usually overlaid with artwork and branding. The cases pose a risk to a user's health if the liquid compartment is damaged, with breaks and cracks allowing the contents to leak out. None of the notices mention what the liquid contains, but that it does cause itching, redness, blisters, and chemical burns when it comes into contact with the skin. The CPSC reports there have been 24 reports of skin irritation or chemical burns caused by the cases globally, 19 of which stemmed from the United States. One consumer reported they suffered permanent scarring from a chemical burn, while another reported chemical burns and swelling of her face, neck, chest, upper body, leg, and hands. A total of 24 different cases are subject to the recall, all produced by MixBin, and were sold through retailers including Henri Bendel, Nordstrom Rack, Amazon, Tony Burch, and Victoria's Secret. Approximately 263,000 of the recalled cases were sold in the United States from October 2015 until June this year, priced from $15 to $65, with another 11,400 sold in Canada and 400 in Mexico. It is advised that consumers should immediately stop using the recalled cases, and to contact MixBin for a full refund. MixBin has provided photographs of the affected cases, with the CPSC adding the model number and UPC code associated with each in its notice, in order to help users who most likely will have disposed of the packaging bearing the required information.